Habitat: Pastures, meadows and short turf. Description: Native annual of medium height (up to 60cm) with golden yellow flowers from May to July. 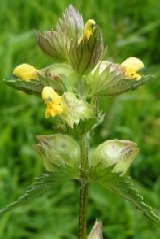 Uses: Yellow Rattle is a useful plant to introduce when creating a wild flower meadow. It is semi-parasitic on the roots of plants, especially grasses, and once established will reduce the vigour of the original grass by up to 50%. It fixes its roots onto the root system of an adjoining grass, extracting water and minerals from it. All ancient meadows have this plant. Sow at the rate of 1g per square metre if combined with a meadow seed mix. 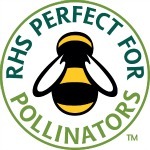 Sowing Instructions for Seeds: Yellow Rattle needs a period of cold to germinate successfully, so is best sown between August and December. Yellow Rattle is an annual and so if used in a meadow, it is best to cut the meadow after the rattle has had a chance to seed ie after the end of July. If sown into an existing meadow, ensure that the grass is cut very short (an inch or less) and create areas of bare soil by scarifying, harrowing, raking etc. You should aim to expose up to 50% bare soil. Sow the seed onto this bare soil and ensure good contact by rolling or treading in. Our plants and seeds are of native British origin. Please note: small quantities of grass seed may also be present.